Ilmipoint will keep you informed with all the latest news, educational events, information related with education, technology, career building, preparation of tests and exams etc. Being your very own informational and support platform ilmipoint shares all the valuable information from admission opening in universities and colleges to new job opportunities in government and private sectors. 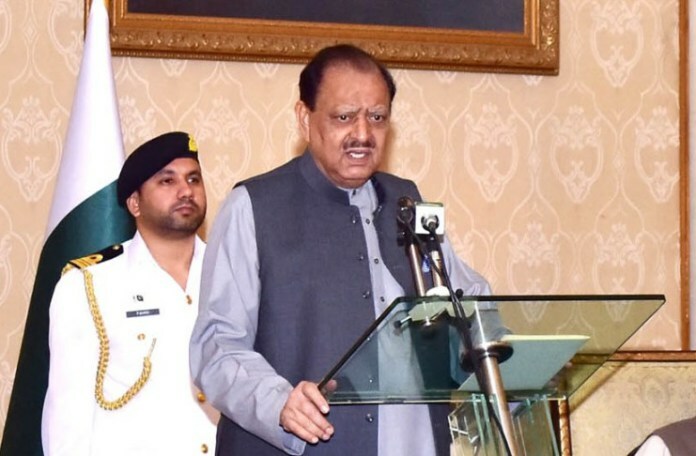 Islamabad—President Mamnoon Hussain on Monday said the nation’s progress was linked with education and stressed close collaboration among federal and provincial governments to jointly achieve the national goal of literacy. Addressing at a symposium on Achievements of Waseela-e-Taleem Project under Benazir Income Support Programme (BISP), the President said those nations, laying greater emphasis on education, gain remarkable achievements in all fields of development. The President termed access to education as one of the basic rights for all citizens besides food, medical treatment and shelter. He said being head of the State, his priority areas were education, health and fight against corruption. He said Pakistan was braving the challenges of terrorism and extremism with the resilience of its nation, armed forces and law enforcement agencies. To eliminate the menace of terrorism, it is necessary to educate, particularly the youth living under poverty line, he said. Mamnoon Hussain mentioned that national education curriculum was being reviewed and would be completed by next year in consultation with all provinces. He expressed satisfaction that BISP had enrolled to schools 1.3 million children belonging to underprivileged class and lauded the contribution of its Chairperson Marvi Memon. He said the programme, which was particularly focusing on the enrollment and education of girls, was appreciable. However, he said, mere enrollment was not enough and it was important to ensure provision of quality education to enable the children of poor class become future’s scientists and intellectuals. The President lauded the role of international donors especially Department for International Development (DFID) and World Bank for providing assistance to the Waseela-e-Taleem programme, that aimed at providing education to poor children. About China Pakistan Economic Corridor (CPEC), the President said the mega project was a guarantee to prosperity and development in the country. He emphasized the need to equip young generation with quality education and ensure capacity-building of teachers to help them maximum reap the benefits of this project. State Minister for Education Engineer Balighur Rehman said with the government’s efforts, the drop-out rate in schools had largely decreased. He said the government was focusing on the society a knowledge-based economy. Marvi Memon said the Waseela-e-Taleem project had been expanded from five to 32 districts in the country. She offered the provinces to utilize the services of 50,000 BISP Beneficiary Committees across the country in various projects. She said the new survey of BISP would be completed before 2018 and mentioned that payment mechanism was being shifted to bio-metric system. Education ministers – Abdur Rahim (Balochistan), Atif Khan (Khyber Pukhtunkhwa), Iftikhar Ali Gilani (Azad Kashmir) and Muhammad Ibrahim (Gilgit Baltistan), country representatives of DFID and World Bank also spoke on the occasion.